Gason 's range of tillers gives farmers the chance to purchase a machine best suited to meeting their overall requirements. Widths can be chosen to suit each tractor and condition. Row spacings and tyre sizes can also be chosen to meet requirements. A lot of machines also offer a floating hitch or rigid pull. A choice between spring tines with a 400 or 500 lbs breakout force or hydraulic tines with up too 680 breakout force is also available. The ScariTILL is a spring tine model that accommodates mounted press wheels and/or coulters. Conventionally working with sweeps the ScariTILL can control traffic of 2, 3 or 4m. 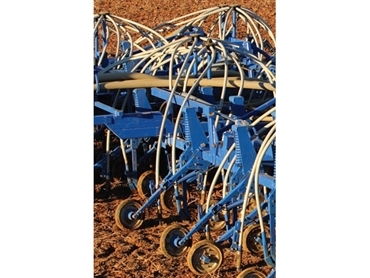 The HydraTILL is a hydraulic tine model that allows for precision agriculture with optional parallelograms.